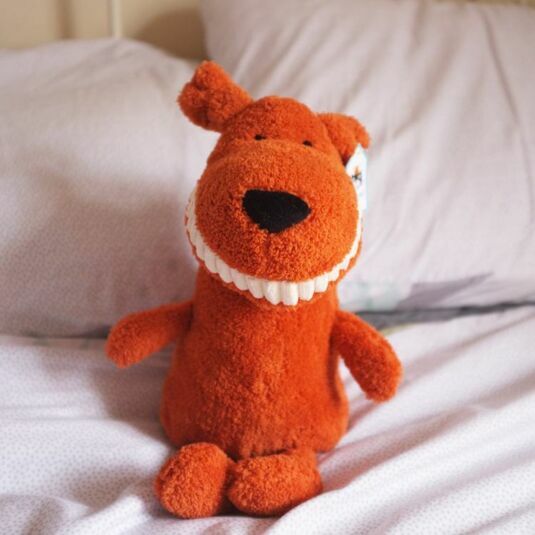 This adorable, silky soft toy from Jellycat has been named Toothy Mutt and he is looking for a new home. With a soft fuzzy orange body, and small arms and legs this dog is sure to make the perfect companion for any child to take with them wherever they go. 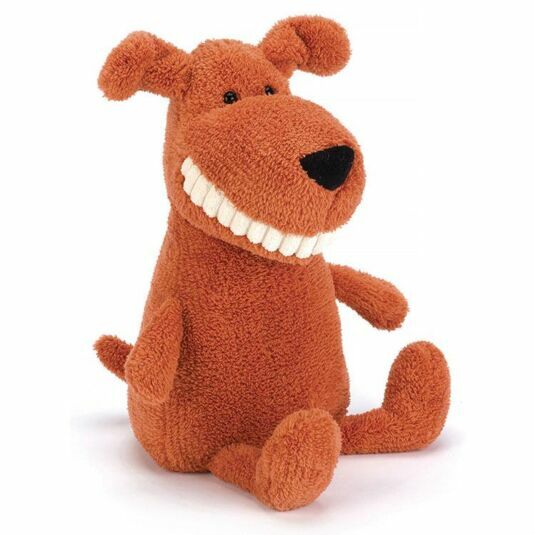 He comes with little black eyes, and a big toothy cream corduroy smile. With a small amount of plastic pellets in the base so he can sit upright, he is sure to happily sit amongst other toys, no doubt becoming a firm favourite of old and young alike.